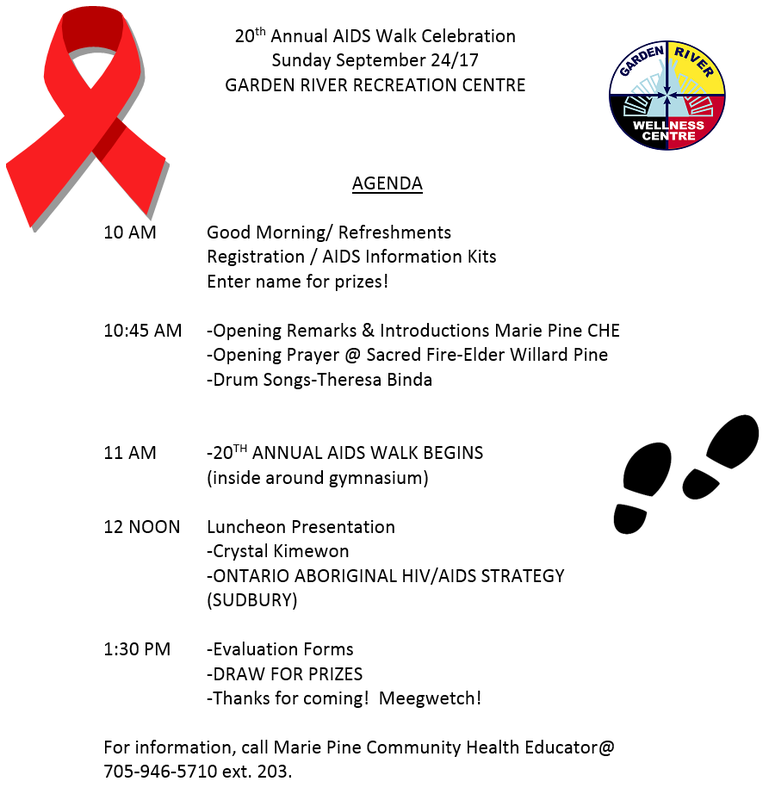 This year, the AIDS Walk is located @ the Garden River Recreation Centre gymnasium. It’s our 20th annual walk, how time flies! Everyone is invited to help celebrate and honour our efforts as we walk to increase community awareness! If you need a ride, please leave me a message @ 705-946-5710 Ext. 203. Thanks, Meegwetch!